Are you looking for an incredible deal on a new Toyota car, truck, or SUV? Then, look no further than Mike Calvert Toyota. Our Houston dealership offers various specials to assist you with obtaining the perfect Toyota vehicle for you. Whether you are looking to lease, finance, or service your new vehicle, our professionals are here to help you. Our dealership is only a short drive away from Pearland and Sugar Land, TX. Stop by and get started with your new Toyota purchase, today! You can also find amazing specials on Certified Pre-Owned Toyota or used cars at our Houston dealership. With our extensive inventory of used cars, you have a wide selection to choose from. We are sure to have a quality, reliable vehicle that meets your needs and your budget. Maybe you want the Toyota name, but a new car just isn’t in the budget. Our Toyota Certified Used Vehicles have been thoroughly inspected and are sure to have low mileage and a great price. However, you can rest easy knowing that all our used cars, no matter the brand, have been inspected for reliability and quality. Contact a sales professional at our dealership for more information about used and pre-owned specials. We look forward to helping you get into your new Toyota! 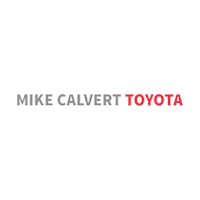 Come by and experience the amazing finance opportunities offered at Mike Calvert Toyota! We work with a number of auto loan lenders to ensure that we can provide local drivers with the best loan rates possible. Get into your new vehicle without the hassle by receiving an auto loan from our Houston dealership. To learn more about auto financing, call and speak with a representative at 713-904-1601. Our professionals are willing to help you finance your purchase, despite what your credit looks like. Jumpstart the financing process by completing a credit application before your next visit. Your new Toyota vehicle is only a drive away.